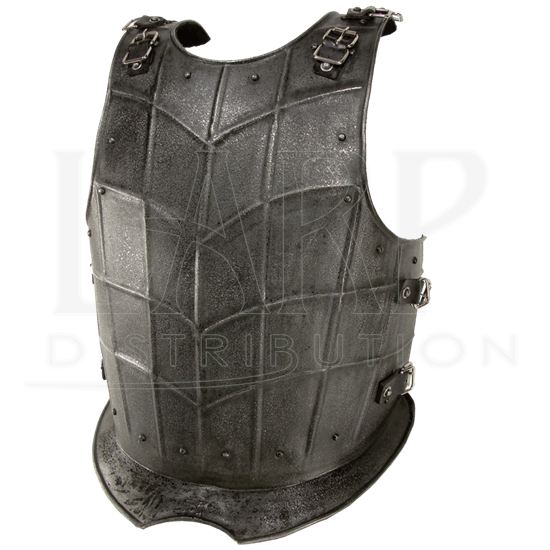 Whether you choose to roleplay as an evil battlemage, or a cold-hearted dark knight, the Breastplate Dark Drake - Epic Dark - Size Large is a great addition to your LARPing gear. Trust this chestplate to defend your front torso. 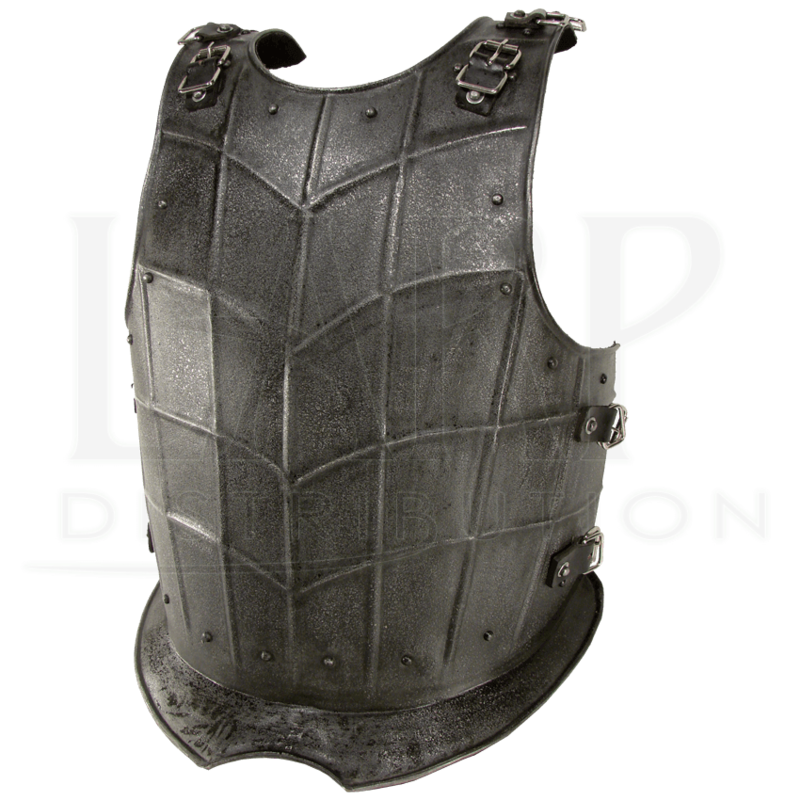 Crafted from 18-gauge mild steel, the breastplate may be worn with or without a backplate, allowing you to create the look you seek, while preventing unnecessary injuries. An oxidation resistant coating not only provides a dark metal finish, but aids in rust and scratch prevention. A scale-like pattern decorates the chest. The raised ridges, a V-shaped flange, and rivets increase its deflection capability. The buckle straps at the shoulders and sides allow easy attachment to a backplate or pauldrons. The Breastplate Dark Drake - Epic Dark - Size Large may be paired with the other armour pieces from the Dark Drake line such as the Dark Drake Tasset Belt and the Backplate for Dark Drake or Dark Warrior Ã¢â‚¬' Size Large.